Irish riders have not escaped the tax increases in today’s budget. Not only has the predicted 2% increase in VAT increased the already high costs of protective equipment, there will also be direct increases in the cost of petrol and road tax. MAG Ireland is disappointed that our submission to the Government in relation to the VAT rates charged on personal protective equipment for motorcyclists was ignored despite having the support of the RSA. Petrol prices will increase as a result of the increase in the so-called carbon tax. This will add about 1.4 cent to a litre of fuel from midnight tonight. However, the VAT increase from 21% to 23% which takes effect from 1st Jan 2012 will add a further 2.4 cent approx to the cost of a litre of petrol bringing the overall increase to just under 4 cent per litre within a few weeks. Not only does this drive up the cost of biking for all of us, it also hits motorcycle retailers retailers here, not least because motorcycle helmets are exempt from VAT in the UK making any popular models between €50 and €80 cheaper in Northern Ireland than their equivalents in the South. 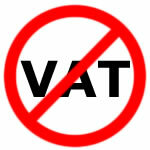 MAG Ireland today issued a press release about the VAT increase which you can read here (121 KB, PDF).